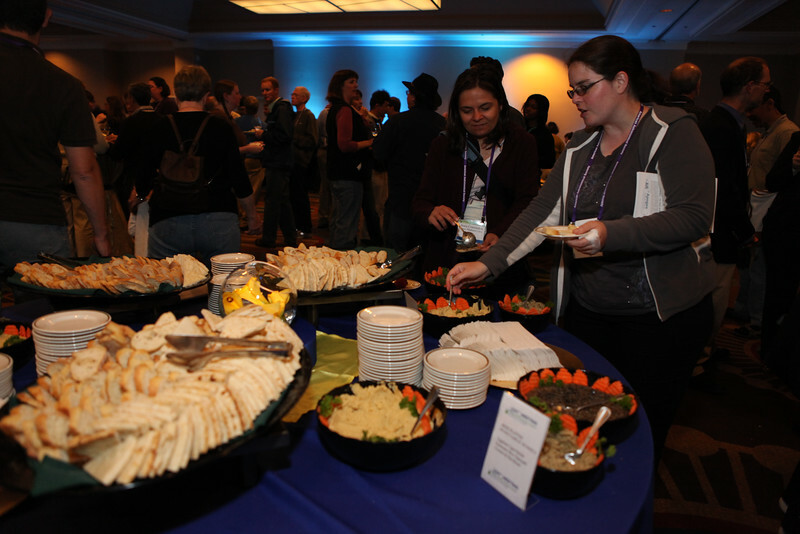 Food and drink aplenty were available at the opening reception. Gone are the days when the reception featured hors d’oeuvres “not to be construed as dinner.” Nobody left hungry. AAS photo © 2012 Joson Images.